Happy Friday!! I hope you all had a good week! We have a lovely bundle of fabric to share with you today. Melanie from Mostly Crafty has made a fun project featuring this week's bundle. Be sure to scroll down for all the details! 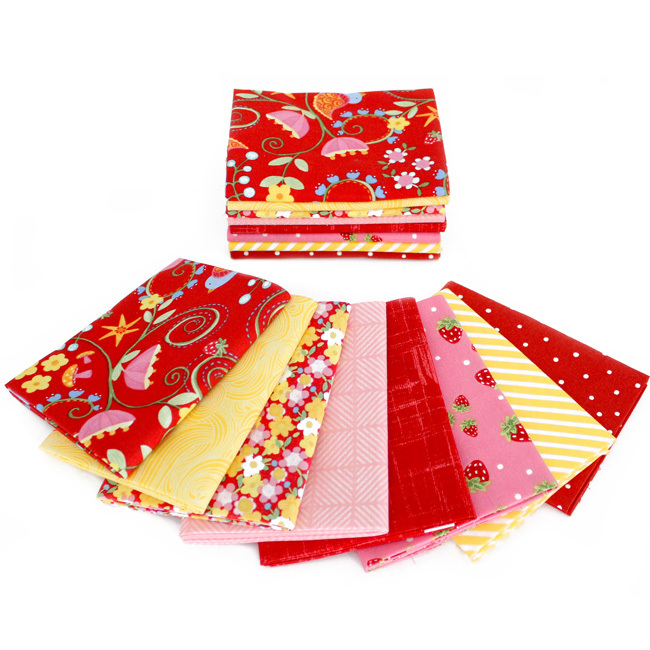 This week's bundle is a sweet mix of florals & berries in red, yellow, and pink! Such a cute selection of prints! I am loving this bundle! It is so bright and refreshing! I have a thing for strawberries, and this bundle just makes me smile! 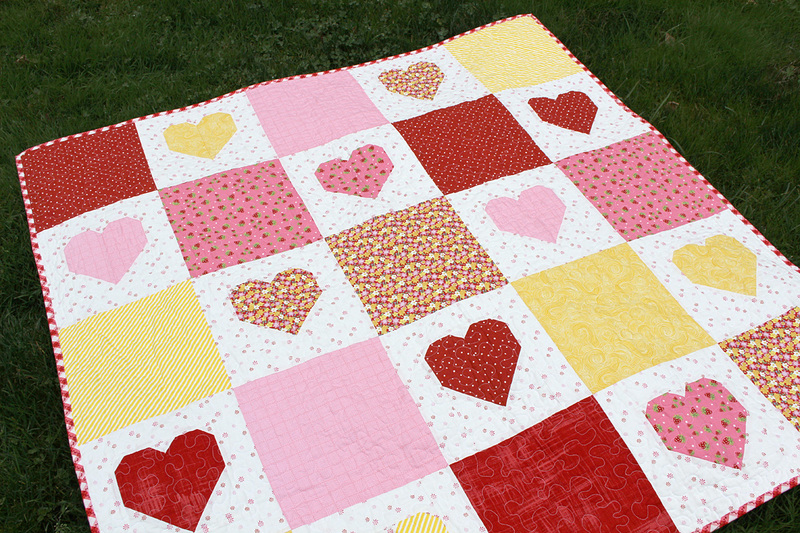 :) Melanie has made such a lovely quilt featuring this week's bundle of fabrics! Be sure to stop by her blog for all the details! You can also follow Melanie on Instagram where she is always sharing what she's working on! Perfect project to showcase the pretty bundle. The strawberries are my favorite! Thank you for hosting Fabric Frenzy Friday, great link party!